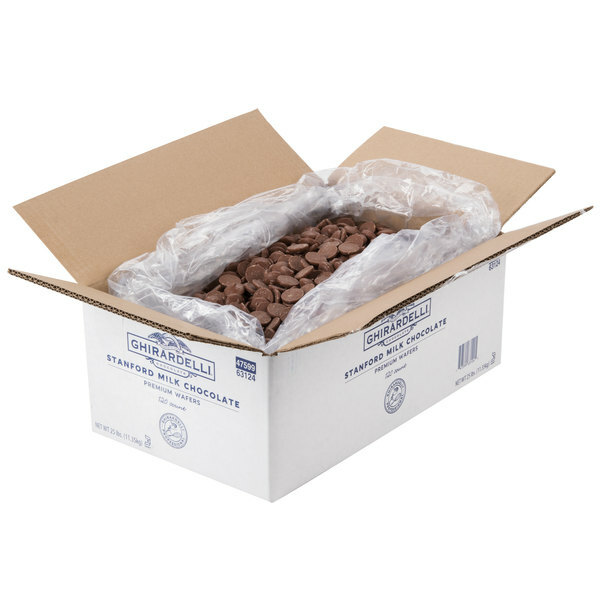 There's no doubt that chocolate is a favorite dessert flavor, and these Ghirardelli 25 lb. stanford milk chocolate wafers can enhance your dessert menu in many different ways! 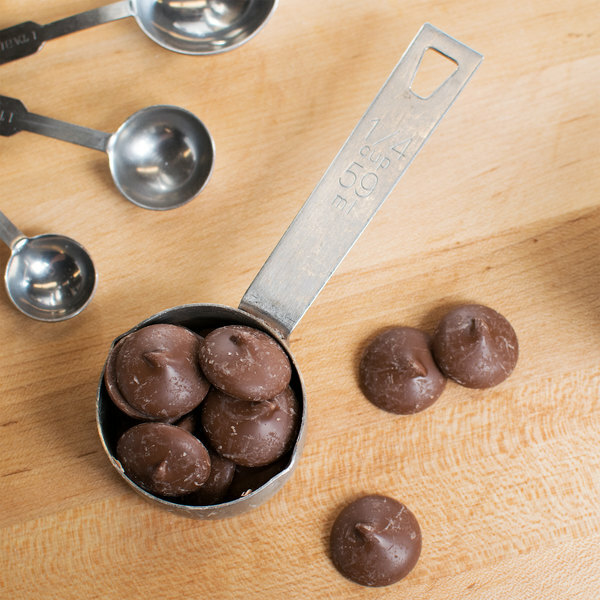 Thanks to their petite, round wafer shape, they're much easier to melt and use than block chocolate. 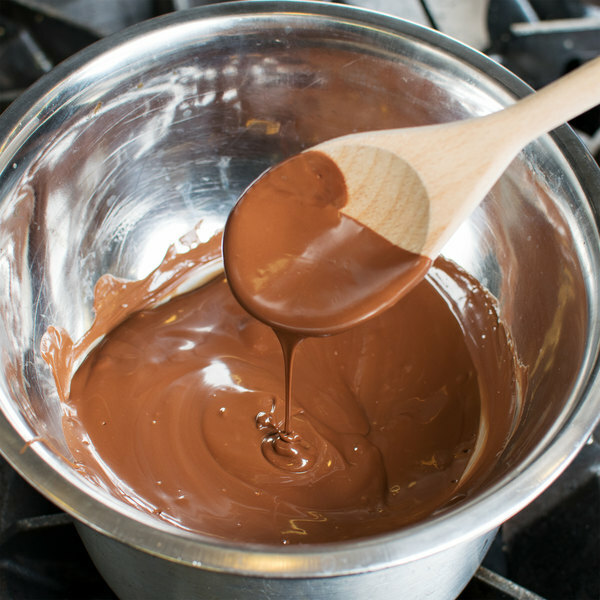 Use them to make a smooth chocolate glaze or ganache. They're also great for coating your customers' favorite snack foods, like pretzels, nuts, and fruits. Whether you're baking cakes and cookies or preparing a decadent fondue, these versatile stanford milk chocolate wafers are up for the task! With their high percentage of cocoa butter, they're ideal for blending into desserts and sweet confections. Plus, the bulk 25 lb. supply is perfect for your high volume business. Customers will recognize and trust the Ghirardelli name when they see it in your cafe, coffee shop, ice cream parlor, or restaurant. Ghirardelli began with a young Italian chocolatier in the early 1800s and is now a brand widely known for its rich flavors. This sense of quality is the result of Ghirardelli's commitment to control all steps of the chocolate-making process, from roasting the cocoa beans, to refining the product for smoothness and well-balanced flavor. In addition, the company understands that sustainable sourcing and knowing the origins of the cocoa beans speaks to the quality of the finished product. No matter what dish or drink you prepare, guests are in for a treat with these stanford milk chocolate wafers! Melts very nice and easily. The taste is amazing. Had no trouble at all melting this chocolate. Great for dipping strawberries and cake pops. Will definitely buy more. These taste great! I believe these are similar to Wilton candy melts. You can use these for cake pops, truffles, or chocolate strawberries, You get 5 pounds of product in one box. The box is nice and compact so it doesn't take up much space. We use these for everything from dipping marshmallows to strawberries. They are great tasting and there is no need to thin the melted chocolate ! These taste ok. For Ghiradelli I was expecting a richer taste. I found these a bit bland not really chocolately. I will have to try another wafer company. Ghirardelli melting chips are easy to melt in the microwave and they are delicious! We used them to make chocolate covered strawberries, chocolate covered pretzel, and chocolate marshmallow pops. They are a great value for the amount that you get. We appreciate your feedback! We’re sorry this product was expired. A Customer Solutions Representative will be contacting you soon. A VERY important item here at Batter and Dough, we use these milk chocolate wafers and basically everything we sell here. What a great taste! The chocolate tasted fabulous. it was great for dipping chocolate covered strawberries. If you need very much chocolate buying in bulk is the best way to go. These chocolate wafers are great for coating my cake truffles and cake pops. They are smooth, dont get lumpy, and work perfectly and are delicious. Very tasty and smooth chocolate for dipping and coating. I like to use this chocolate for dipping strawberries and then use the white Ghiradelli wafers to give accents with stripes or dots. Delicious, quality chocolate as expected! The 5 lb option is great if you’ll be doing a lot of baking but do not want to go too large. This melts beautifully for berries or dripping over your cakes. Was kinda skeptical of these wafers but they are absolutely devine. like the white chocolate ones, I snack on them for a sweet fix. they coat apples well and strawberries. great product. im proud of this purchase. This is a really good quaility of chocolate. Everyone loves it -i use it for cakes, pretzels, rice crispy treats, you name it. I will be purchasing again. The Ghirardelli 5 pound bag of wafers is awesome for dipping fruits and all kinds of desserts. They melt down fast and taste so good! This chocolate is a lot better then the white chocolate. i dont know why but it's the same company, i would buy this again when i run low. These chocolates were very good quality I would definitely buy again. Worth every penny, other melting chocolates don’t even compare to the taste, quality, and texture. These were very easy to melt down and work with when making chocolate covered goods. These wafers are great for baking, we use them to make cake balls and other special treats. 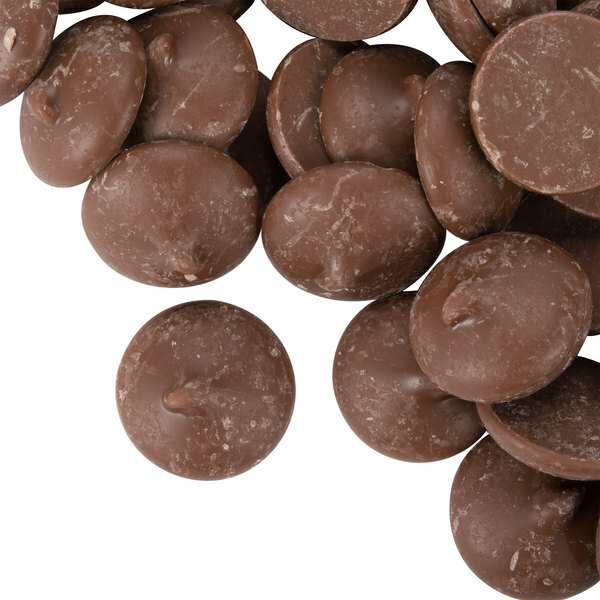 They melt and mix better that other chocolate pieces.